Is your sword sharp? Maybe it's a bit longer than normal? Wait, is your helmet dented? 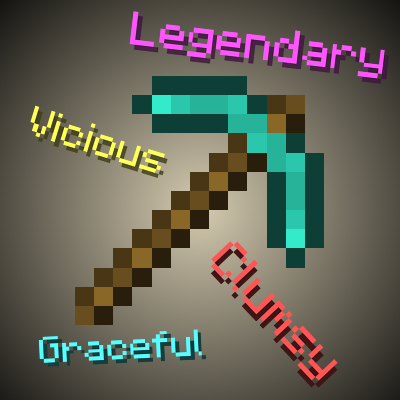 This mod gives tools, armor, and weapons random qualities when they enter your inventory, inspired by Terraria tools. All the qualities, as well as the tools that can get them, are completely configurable. It also adds a 'reforging station', which you can use to change your tool's quality. 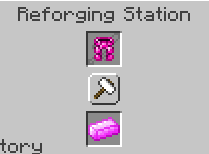 Use the reforging station by placing your tool in the top slot, and the material you would use to repair it in the bottom slot, then clicking the button. If the tool isn't normally repairable, there is a config file that has custom reforging materials for it. 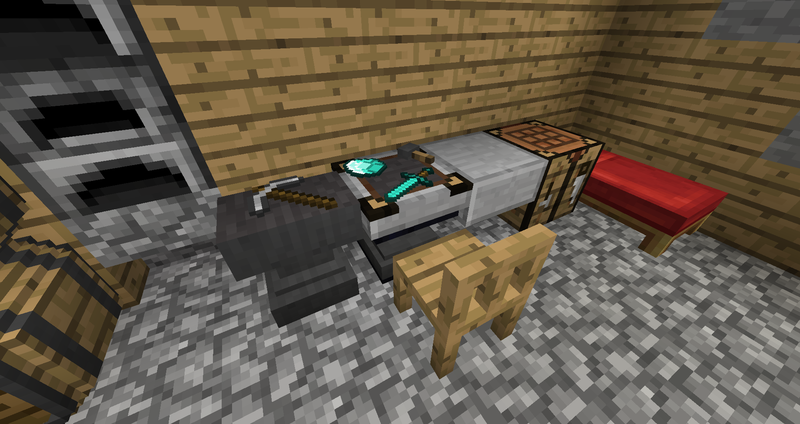 For instance, iron ingots for shears. 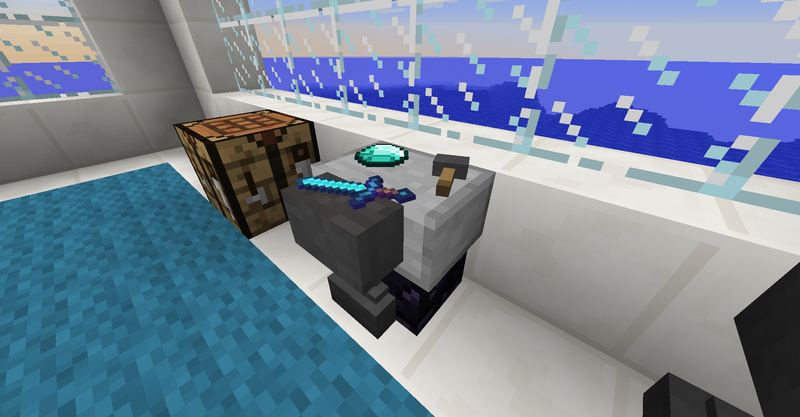 You can add materials there for modded tools that don't have repair items. 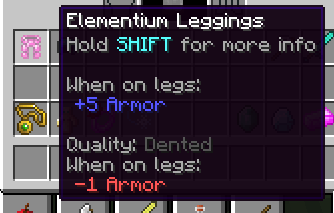 It should automatically use tools and their repair items from other mods as well, like these leggings from Botania. 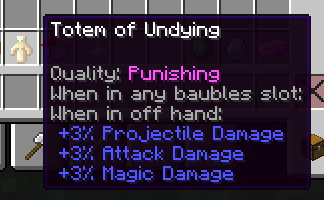 There is also support for Baubles, so any items that can go in baubles slots can get qualities. 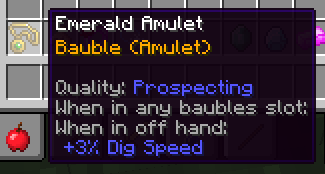 As an example for this, and in case you don't have any other mods that use baubles, I added a simple emerald ring and amulet (which can be reforged using emeralds). Install this as a regular forge mod (there are many tutorials out there if you don't know how). That's about it! 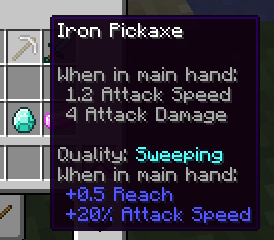 You can use this mod in modpacks if you like, and remember to report any bugs that you find. If you want to post a comment, you should do so on the minecraftforum page, as I will be more likely to see it. Hello! 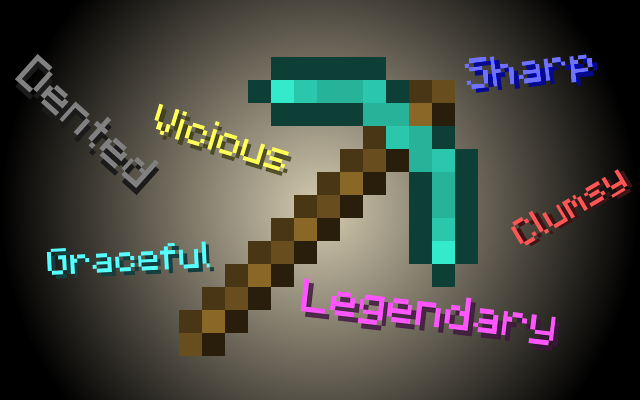 You've probably already been asked this like a billion times, but will you be making this mod compatible with Minecraft 1.14? Hiya. Is this mod compatible with Silents Gems? If not, can you please please PLEASE make it compatible? I found this error message in the console: https://pastebin.com/eSvhCp9X I think it stems from the fact that I gave emerald rings a new crafting recipe. Could this error message and that glitch be related somehow? Hey, what isn't compatible about it? You could add any ranged weapons to bows.json in the same way. By the way, you should remove BezTheGamer’s video on this mod, as it is no longer available. Mischief of Mice made a video on your mod, though, so you can add that to the page. Oh hey, you're right! Actually, scrolling down, I see Mischief of Mice linked the video in the comments here. I'll replace the video with that. Thanks for noticing! Oh haha, I thought I changed that. Thanks. How do you allow for multiple repair materials for a tool? Hey! Just add multiple entries for the tool. If all the materials you want have the same ore dictionary entry (like all the different wood planks are under plankWood), you could use that instead. The Reforging Station always faces in one direction for me. Can you make it always face the player when placed? Hey, I'm not planning on making the reforging station able to change directions right now. It would be cool, but it makes rendering the items on it more complicated. If you let the base block rotate (as described) but the items on top of it stay as is regardless of direction placed, would that be easier and maybe a compromise? Looking at it, it seems the items on top wouldn't mind the base block being rotated. //e: I could also look into making a model which looks "fitting" from either side, if you're interested. //e³: I've made a resourcepack with a new model. Here you go. 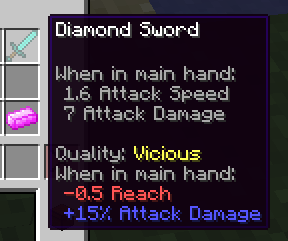 I have been able to reforge my swords from the Random Loot Mod with diamonds, but it won't let me use diamonds on the bow I recently got. 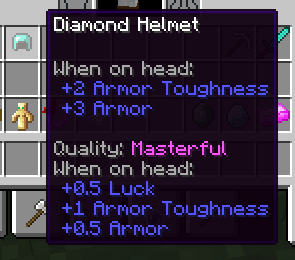 I know you don't do Random Loot Mod, but do you happen to know what material I need to use? Thanks in Advance! Hey, do the bows have any specific repair materials? That's what the reforge looks for. If they don't, you can add an entry for it in the config files, like the one for the vanilla bow with wooden planks.